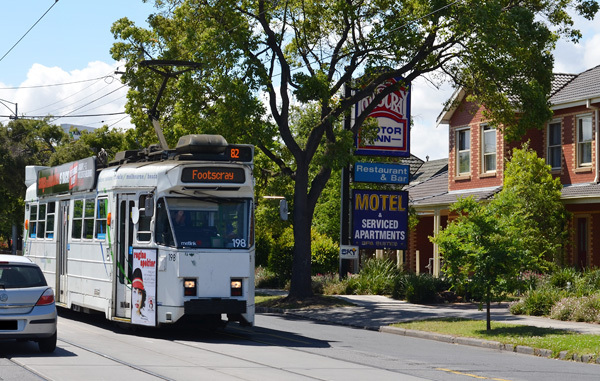 Situated at just 7 kilometres from Melbourne CBD just off the Western approaches, the Footscray Motor Inn provides convenient accommodation and catering services for visitors in the region. Open 24/7 and 365 days a year, the only motel in inner western suburbs. Quality accommodation at affordable prices. Variety of rooms from standard rooms, executive standard, executive twin, executive spa, studio and one bedroom apartments. Public transport is at the doorstep. Free car parking at the site subject to availability. All rooms and suites include room service. There is an on-site restaurant, bar, and a guest lounge room with a billiard table and large screen TV. While staying at the inn, you can entertain yourselves during the day by going to visit some famous local attractions. Return for dinner and stay over for the night, resting in the deluxe rooms, in the spa rooms, or in the apartments. With rooms and facilities up to standards you can expect from a good quality inn, you’ll be able to recharge your batteries at a reasonable price. You can be sure to experience personalised service while staying at our place, so contact us at Footscray Motor Inn to book your stay. Come and stay with us today!